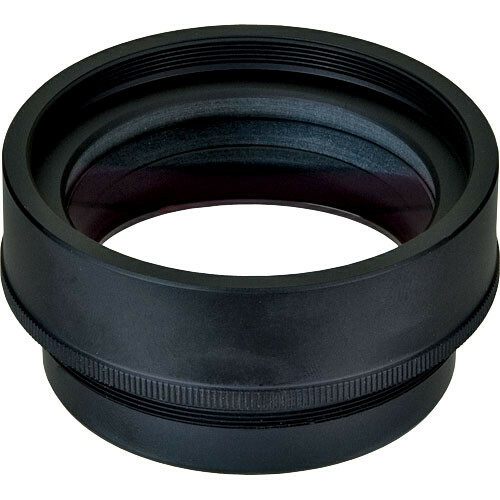 The Vixen Focal Reducer for the ED81S, ED103S, & ED115S telescopes is a high-quality reducer for imaging use, designed to shorten the effective focal length of your refractor. Shortening the scope's effective focal length quickens exposures and widens the field of view. To use this focal reducer, you'll need both the Vixen #3878 Direct Wide Photo Adapter and a camera-specific T-mount for your SLR camera. The outer portion of the T-mount is removed, and the remaining element of the T-mount affixes to the Direct Wide Photo Adapter. You then attach both pieces on to your SLR like a lens, and on the other side of the Direct Wide Photo Adapter you screw in this focal reducer. Together your SLR + T-Mount + Direct Wide Photo Adapter + focal reducer thread in to the rear of the focuser barrel upon the refractor. What is the back focus distance of this reducer? With the focal reducer, it is 63.5mm.